Seasonal Skinnies 4 quilts are just right for those summer holiday decorations! 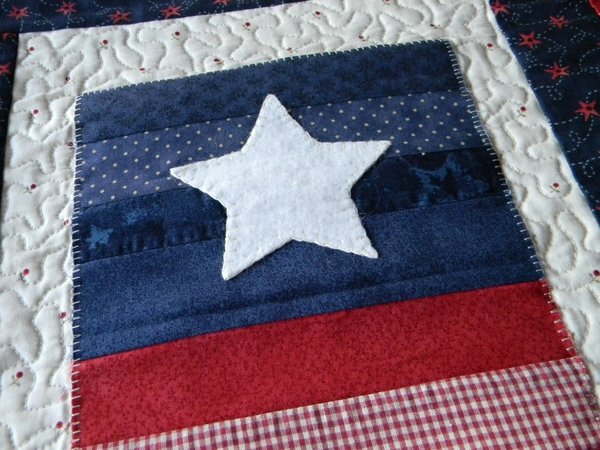 Pattern includes full size templates to make, the Flag, Watermelon and the Sunflower. Each quilt measures 14"x 28". 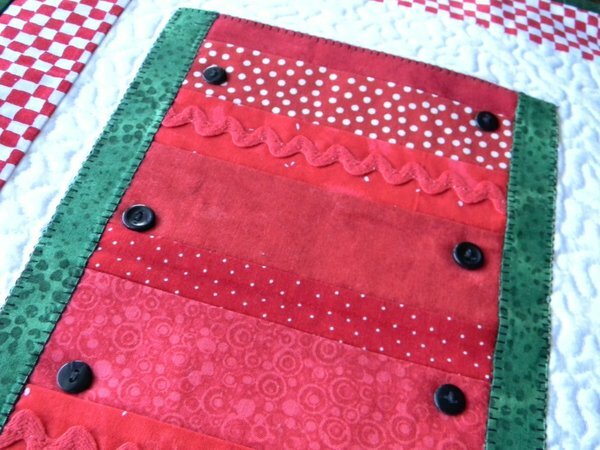 Skinnies use fusible web applique. Perfect size to hang anywhere. 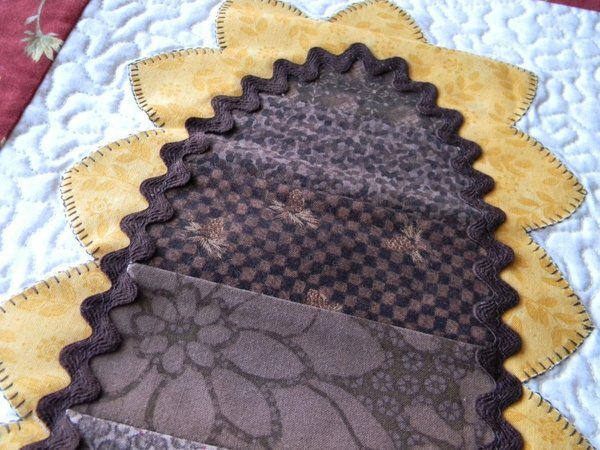 Fast and easy these patterns are perfect for the beginner quilter or a quick project for more advances quilters. You can add trim, rick rack and/or buttons too for fun. Make one or more and share with your friends.